Imagine there being a bakkie built tough, with the luxury of a sedan… We’re not talking about any form of luxury, but the one you get standard in most German cars. A few years ago this seemed to be an almost impossible task for the bakkie or off-road vehicle segment. Well, thanks to the outstanding research and development from one of the most trusted auto manufacturers, Mercedes Benz has come up with the perfect combination in what seems to be a promising and elite leader in the segment. 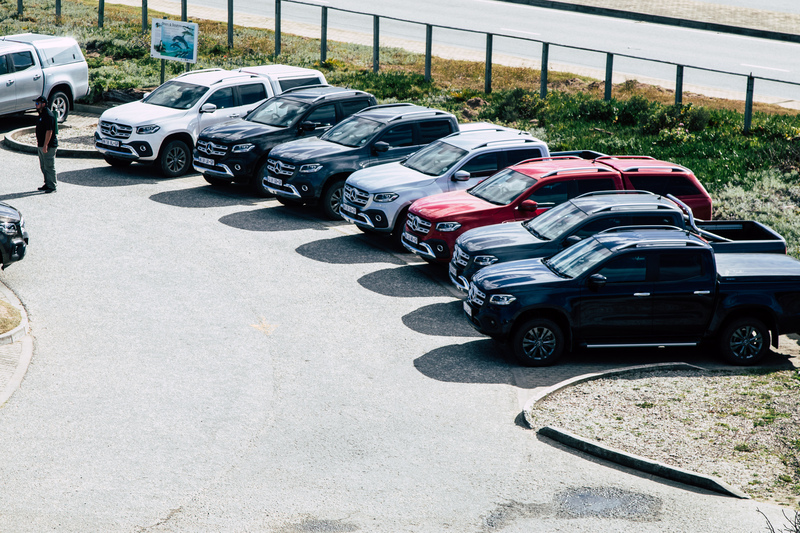 The highly anticipated X-Class will be echoed in the ears of many bakkie fanatics, farmers and city-slickers from all walks of life for years to come and, by the looks of things, it’s definitely destined to be the ultimate king of bakkies. The bakkie market is not an easy segment to compete in, especially when you’re targeting value and durability. Certainly, Mercedes has made some compromises, though they’re few and far between. To meet the high standards of the vehicle as well as push it to the limits, there was definitely no better route than the scenic Devil’s pass which booms with a wide range of fauna and flora and breathtaking views of the great outdoors. The trail also leads to the Outeniqua mountain pass with superb views of the garden route. Surprisingly enough this vehicle handled the rocky terrain like a pro and felt rather robust with refined sophistication and unparalleled driving comfort, thanks to its multi-link rear wheel mounting with coil springs technology. In reality, the X Class isn’t all Mercedes‘ handiwork. 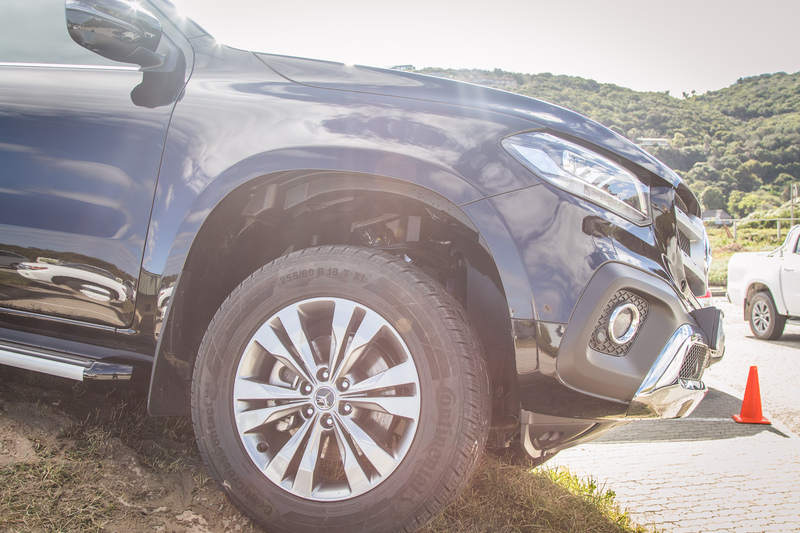 The X-Class is product of its partnership with Renault-Nissan and is manufactured either at Renault or Nissan plants in Spain or Argentina, depending on country of destination. According to Mercedes, the time is ripe for a midsize pickup with aspirations beyond what the current crop of options from Ford, Volkswagen, Toyota and others can offer. As much as most critics believe the car resembles the Nissan Navara from the outside, there are slightly few similarities between the vehicles which are basically the door handles which also feature a key-less entry function in the power model and antenna on top of the vehicle, from there most of the vehicle is purely a Mercedes Benz. The door frames, panels, lights and most other elements of the vehicle are completely different from those of Nissan. The bakkie has however been built on the Nissan chassis but has been reinforced with all Mercedes Benz engineering and styling. The load area of the vehicle has also been lengthened and also has a much higher carrying capacity. Another notable feature is the fact that both the progressive and the power models come standard with LED lights and a tow bar, with of course the power models come fitted with chrome styling fog lights and bumper lining. The interior of the vehicle still has the premium Mercedes Benz feel with the option of heated seating in some models, which we feel like the interior is where the Mercedes Benz dominates hands down in the bakkie segment and also boasts it’s superb on-board command system which is still fitted with it’s premium touchpad, something a bit fancy for a bakkie if I may add . Generally the manufacturer was very smart with the design of the dashboard as it comes with three design options and the air-vents resembles the letter “X” which goes well with the styling of the bakkie and unlike most competitors the vehicle does have sufficient leg room in both the front and rear parts of the vehicle. The Germans didn’t want to take away the significance of a bakkie and therefore fitted the traditional gear knob and handbrake lever in order for it to still feel like a bakkie, after all this is technically still a commercial vehicle. It also is fitted with rear seats vents as well as an electrically operated rear window as opposed to the traditional manual option in most bakkies. On top of all the safety features fitted in the vehicle it also comes standard with ISOFIX functionality and is fitted with curtain airbags all the way to the rear, which could double as an outstanding family vehicle. The Mercedes Benz X-Class offers a selection of two powerful and efficient four-cylinder engines to deliver outstanding performance. The high-torque common-rail diesel drive system with a displacement of 2.3 litres is available with a choice of two power outputs. In the X220d, the engine generates 120kW and in the X250d no less than 140kW. These models are characterised by quiet, low-vibration running and excellent power delivery coupled with low consumption figures. The X-Class twin-turbo engines come with one high pressure and one low-pressure turbocharger set in series to ensure immediate response times, unmatched pulling power and strong acceleration. The meaner V6 engine model is set for release next year during the first quarter, which promises to be like no other bakkie on offer. Overall this is a premium bakkie which has a lot to offer in a very competitive vehicle sector. Another feature I particularly liked the most about the X Class was the 360-degree camera which for such a huge vehicle is actually very useful, something which rivals might need to pick up on, then of course there is the hill-start assist feature which grants you a grace period of about 3 seconds to control you vehicle from rolling off inclined areas. This is a very practical bakkie and performs generally well on basically all terrains, and for a diesel model in both the progressive and power models it’s actually very quiet. It’s a work vehicle which begs the driver to push it even further. 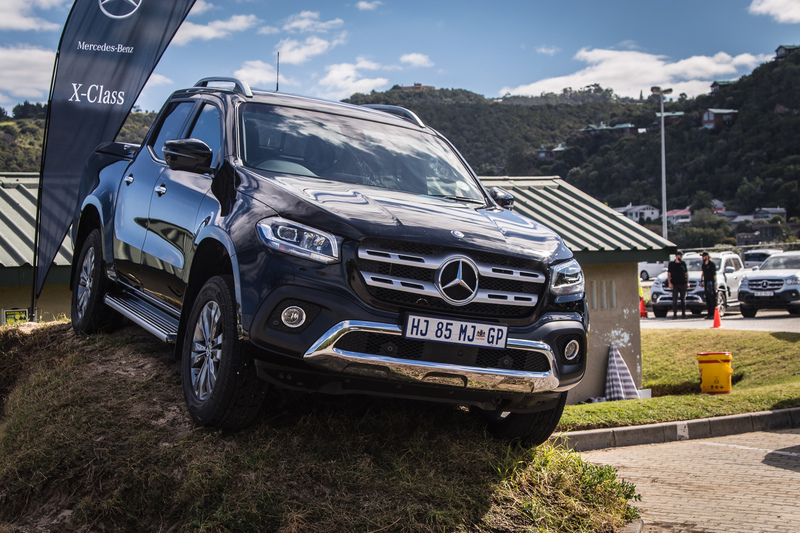 The new Mercedes-Benz X-Class comes standard with the manufacturer’s Premium Drive, which is a 100 000 km/6 year plan or whichever occurs first. Customers also have the option of extending the maintenance plan up to a maximum of 180 000km/8 years or whichever occurs first, all of this of course comes at an additional price. 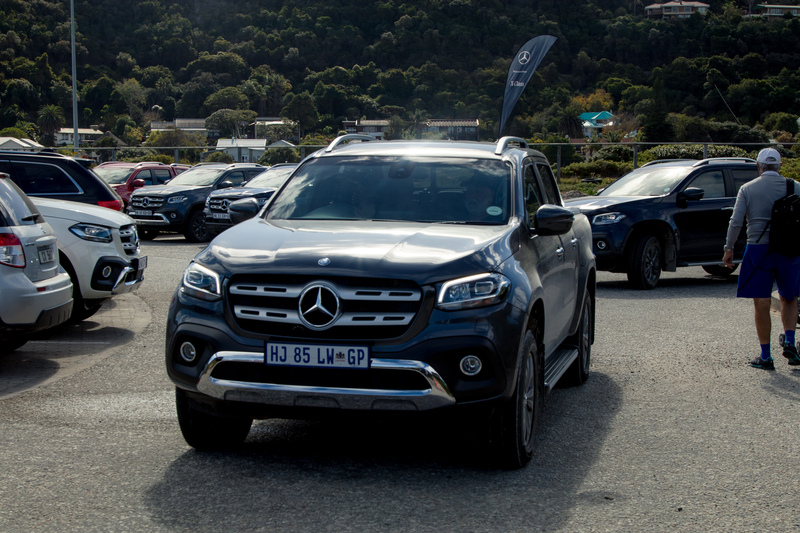 Pricing for the X-Class range start at R642 103. Though it’s relatively pricier than most of its rivals, one shouldn’t forget that Mercedes Benz doesn’t compromise when it comes to quality, which has been one of its competitive advantages throughout the years. This brand has always been about setting the highest standard for those few individuals who never settle for second best. With all this being said, Mercedes Benz has made quite an impression and definitely will be turning heads.